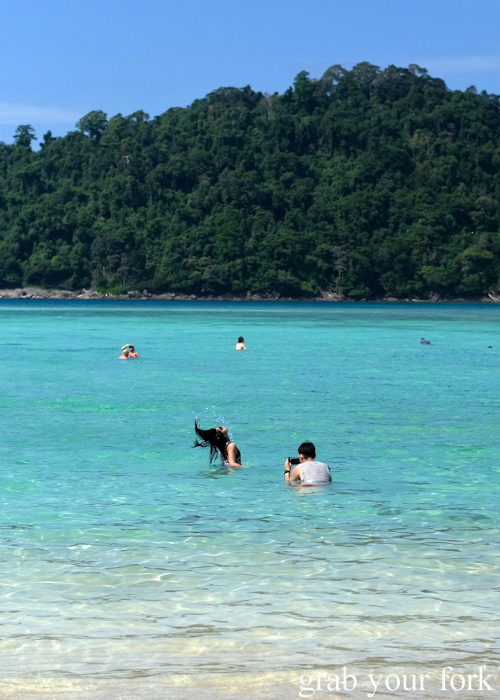 Looking for the non-touristy version of Phuket? 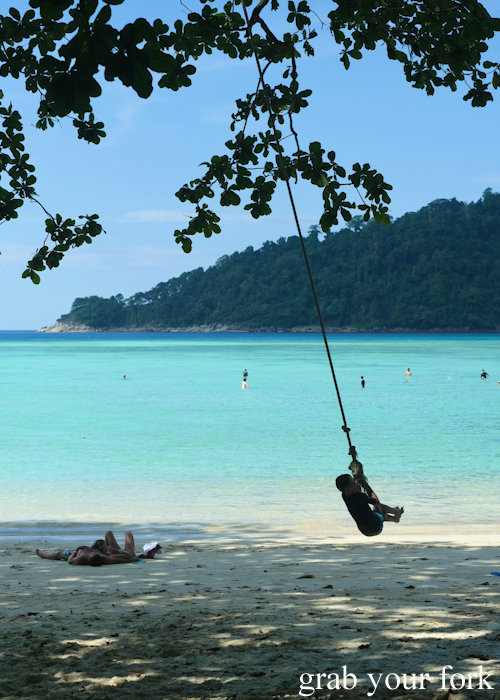 Travellers in the know head to Khao Lak, about an hour's drive north of Phuket. 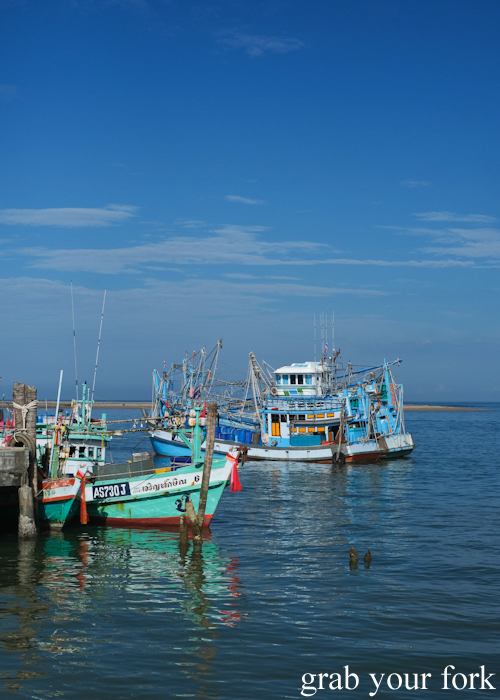 Here you'll find pristine beaches, crystal clear water and incredible seafood. What should you eat? Where should you go? Where should you stay? Read on! First stop? 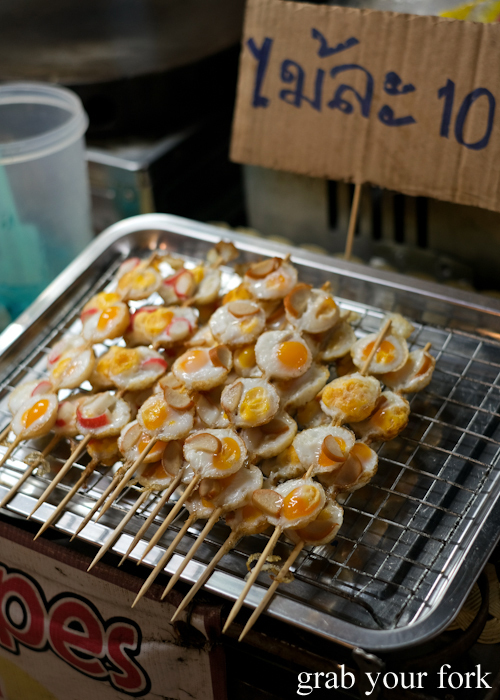 The nearest night market. 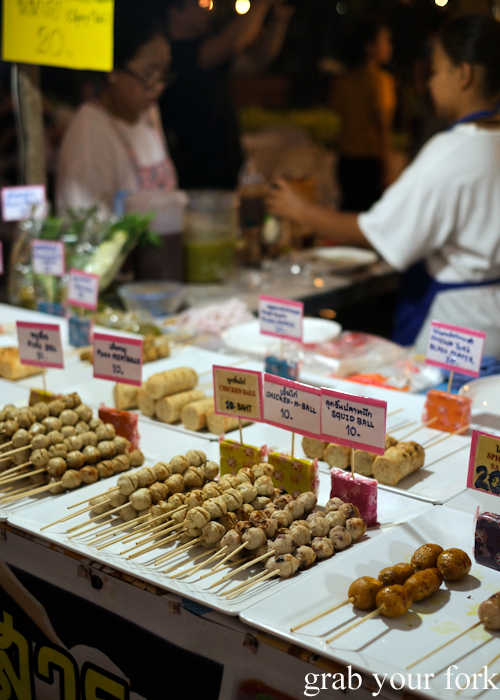 There are two main markets in Khao Lak: Build Market and Bang Niang. 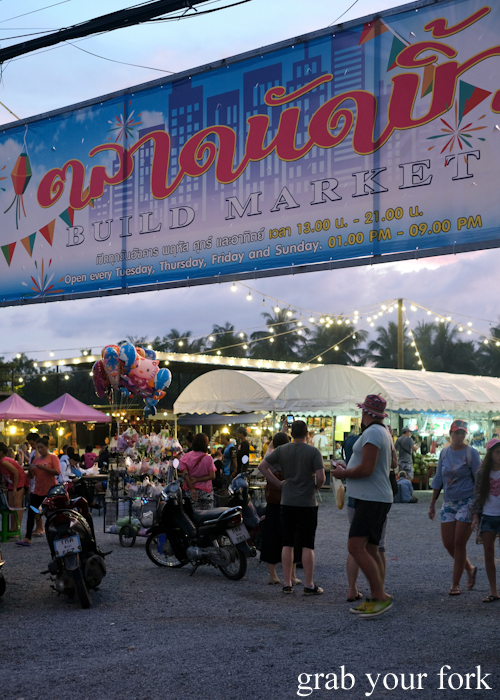 Build Market is smaller than Bang Niang, but it's also less touristy. 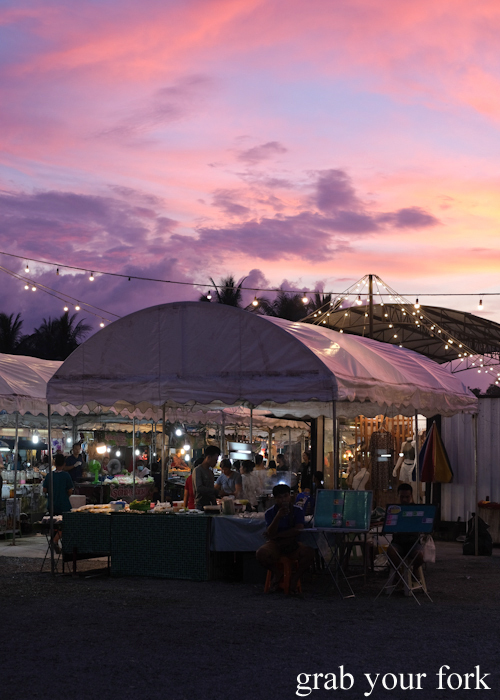 Stop by at dusk to appreciate the stunning sunset before a meandering amble among the stalls, most of which are dedicated to food. 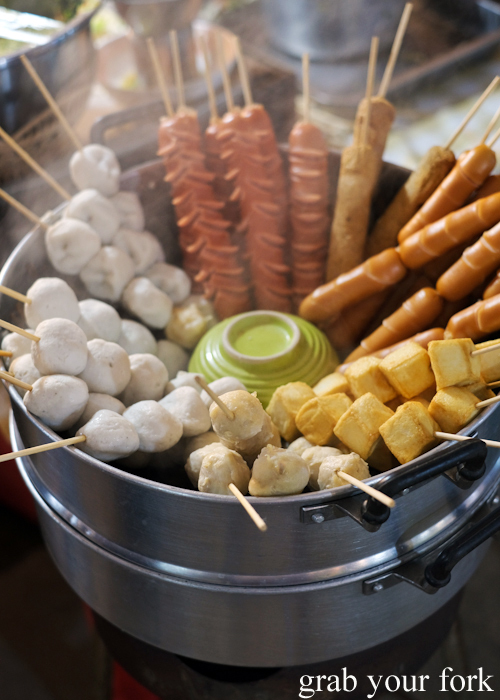 Snack as you go or hustle up a collection of dishes before grabbing a table to eat all your purchases in one go. We did both. 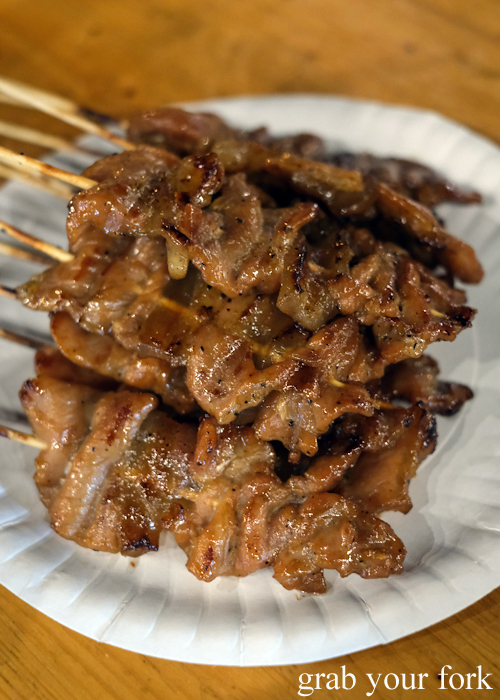 You'll definitely want to load up on the moo ping grilled pork skewers, garlicky and sweet with marinade and cooked over charcoal until smoky. And here in Thailand, they're crazy cheap at less than 50c each. You'll need some vegetables with dinner. 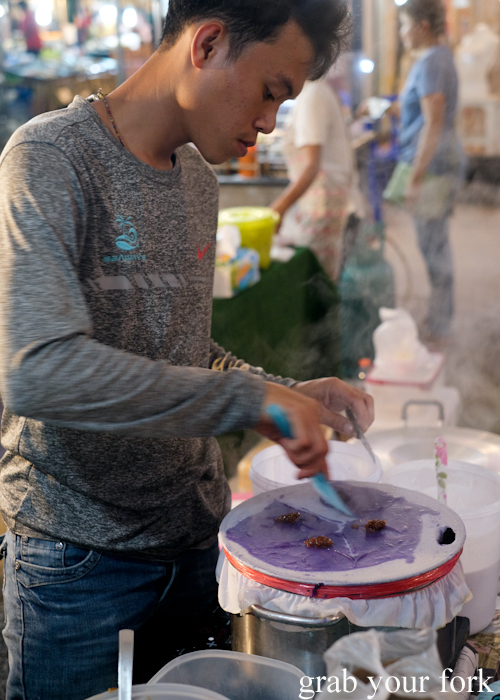 This nam prik stall is the tastiest way to eat your greens. Here you choose your own vegetables - bamboo shoots, okra, young corn, pickled cabbage, cooked eggplants and more - for dipping into your choice of nam prik chilli sauce. There's a whole rainbow of chilli sauces, each one varying in heat. And there's a whole complex laying of sweet, sour, salty and spicy flavours that makes eating your veggies super addictive. 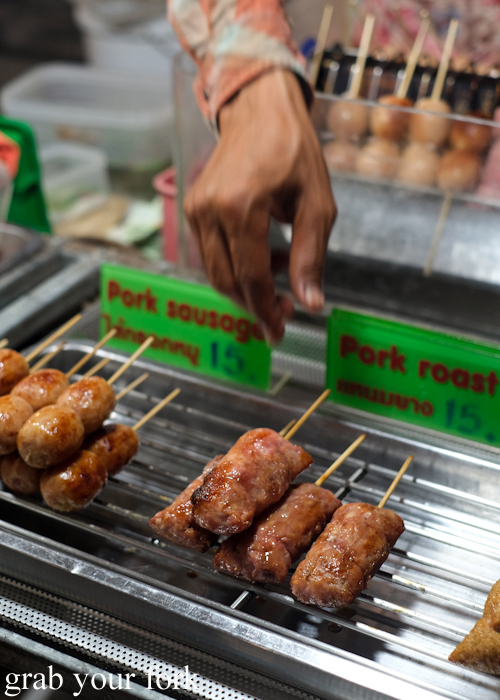 We became obsessed with grilled naem sausages, pork and rice sausages that have been fermented for a slightly sour tang. 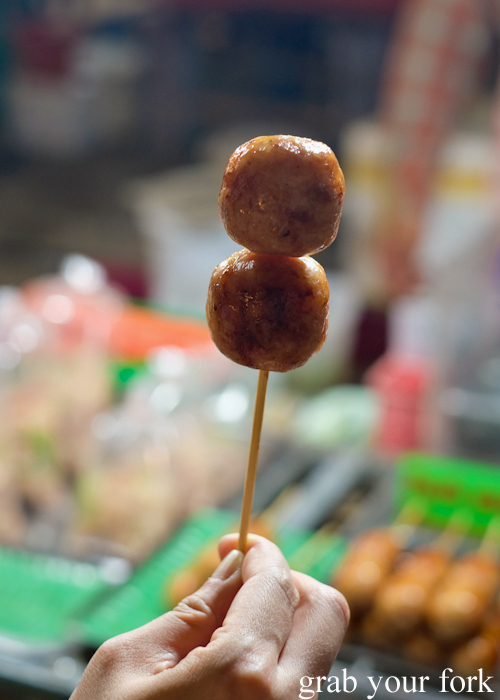 We also loved sai grok sausages, little balls of pork and rice sausage with a springy skin. 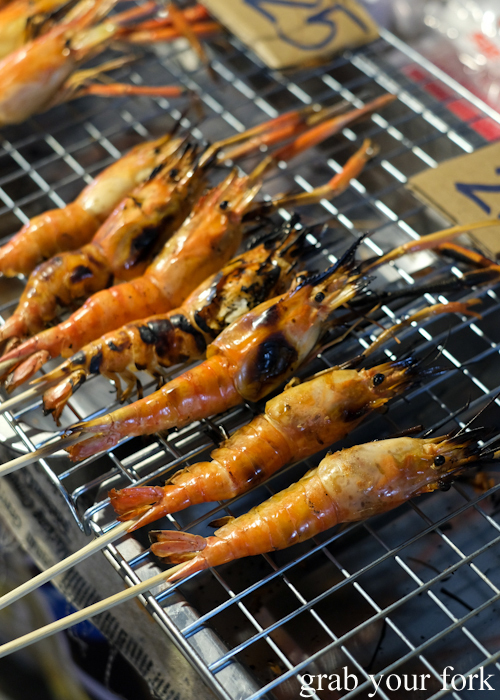 River prawns are an incredible treat in Thailand. It's all about the generous amount of treasure found in their almost bulbous heads. Flavour. City. And forget fried chicken legs. 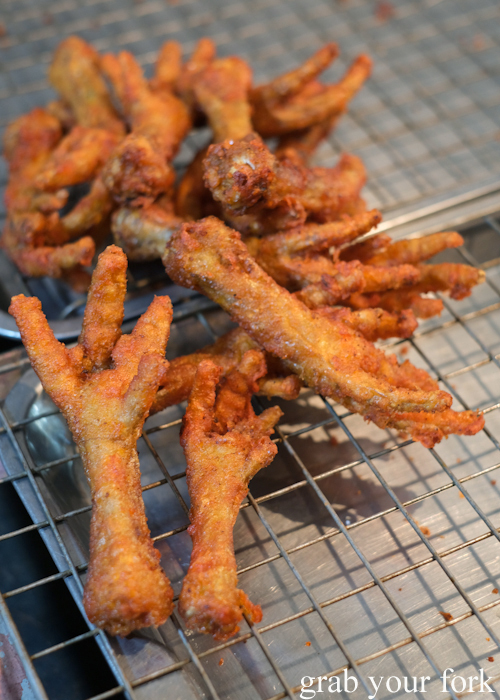 Check out these fried chicken feet. 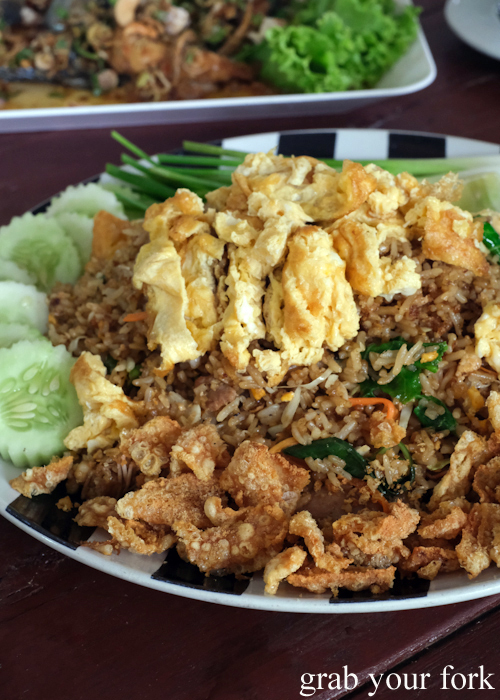 If you love salty and sweet combinations, you'll adore khao kriap pak mor. 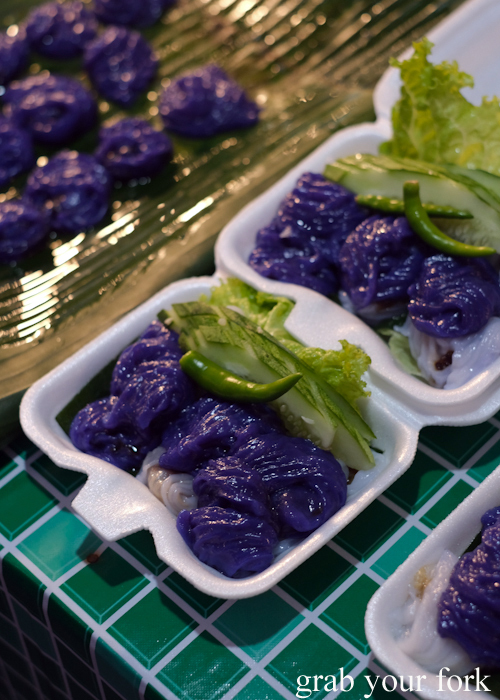 Freshly steamed rice flour sheets are wrapped up around a filling of peanuts, palm sugar, garlic, shallots and radish. It's a bewildering mix of intense sweetness contrasted with savoury garlic and shallots. And yet somehow it works, as your hand sneaks forward to eat another. 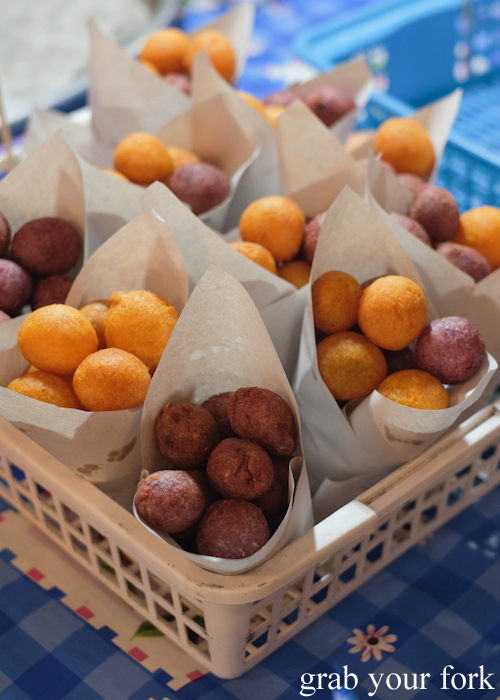 Sweet tooths should definitely pick up a khanom buang or two. 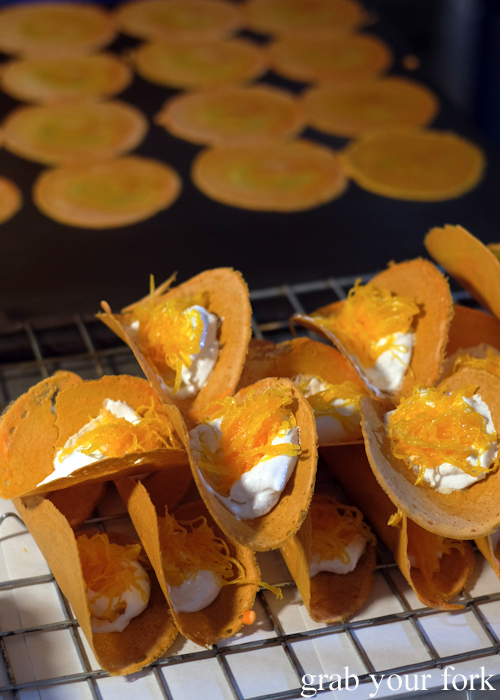 Likened to a dessert taco, this street treat combines a thin crunchy crepe with marshmallowy meringue and strands of foi thong golden egg yolk threads. 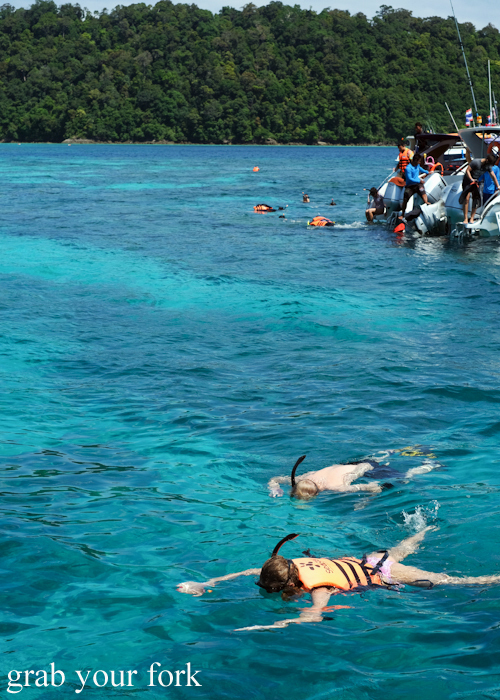 Do you like snorkeling or scuba diving? 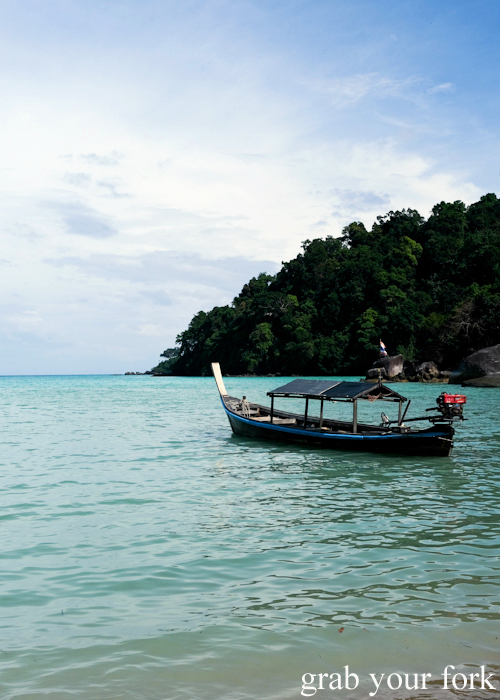 You'll want to visit the Surin Islands, a collection of five islands in the Andaman Sea. It would be an understatement to say the water is incredibly blue. And crystal clear. And ridiculously warm. 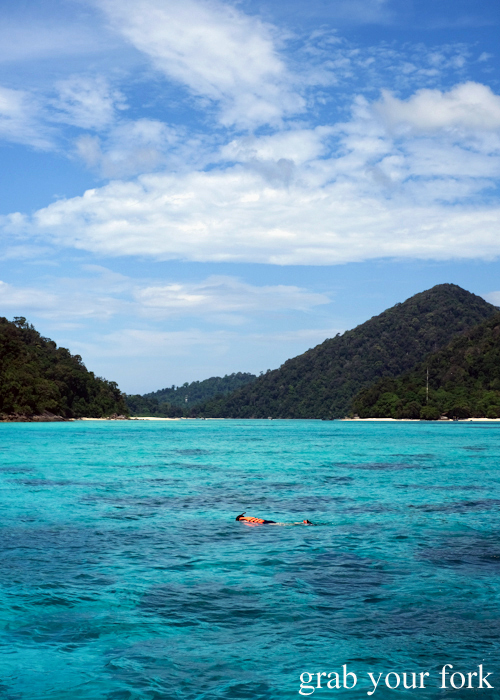 We chose SeaStar from the range of operators that run day trips to Surin Islands. 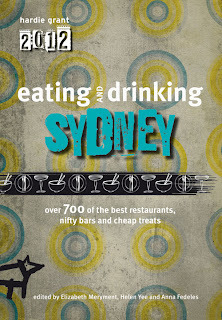 Most will include transfers from, and back to, your hotel accommodation. SeaStar was great, with tour guides who were well organised, spoke excellent English and happy to help everyone get kitted up with flippers and snorkeling masks. There was also no shortage of food. We had access to a free breakfast beforehand; snacks, drinks, fresh fruit and sweets on board; a buffet lunch; and afternoon tea at the pier when we returned. They even had a basket of free sea sickness tablets for anyone who'd forgotten. Our day trip included snorkeling at three sites, each with different varieties of fish. 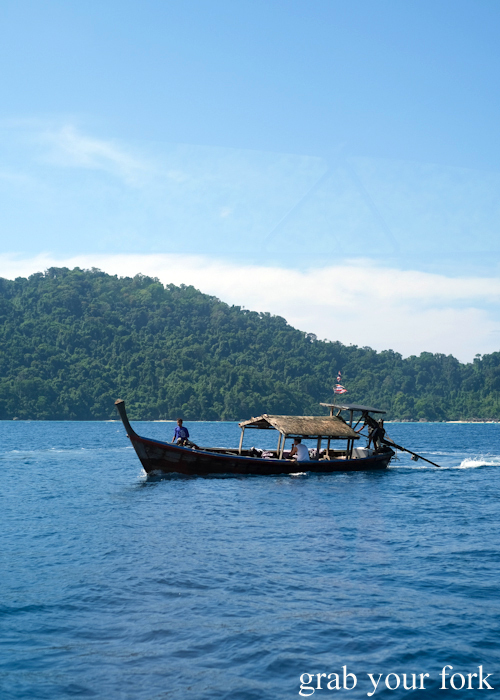 Most of our travel was done via speed boat with transfers to long-tail boats required when heading to shore. 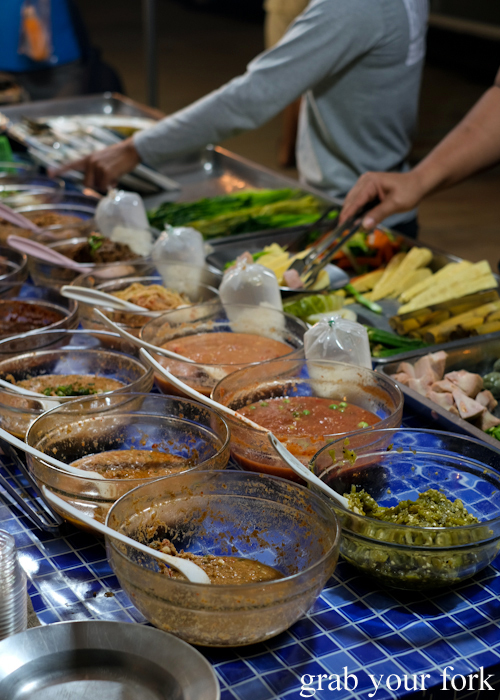 Lunch was at Surin Island National Park where staff set up an all-you-can-eat buffet. 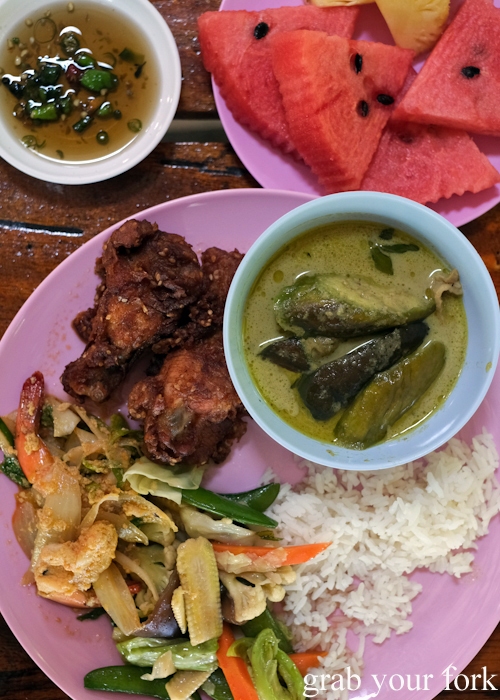 The food here was deliriously good - fried chicken, prawn stir fry, stir-fried vegetables and a terrifically good green chicken curry. Add free fruit and unlimited soft drinks and Thai milk tea for maximum afternoon slump. ...get your boyfriend to take a pic for Instagram. 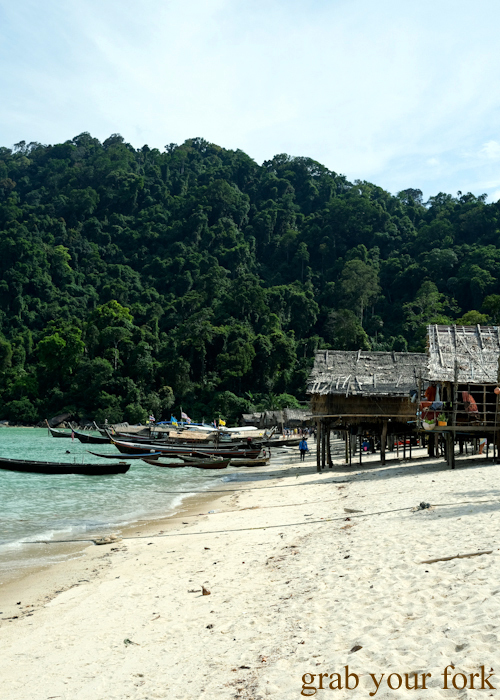 Our day tour included a visit to the Moken Islands, the local sea nomad community. 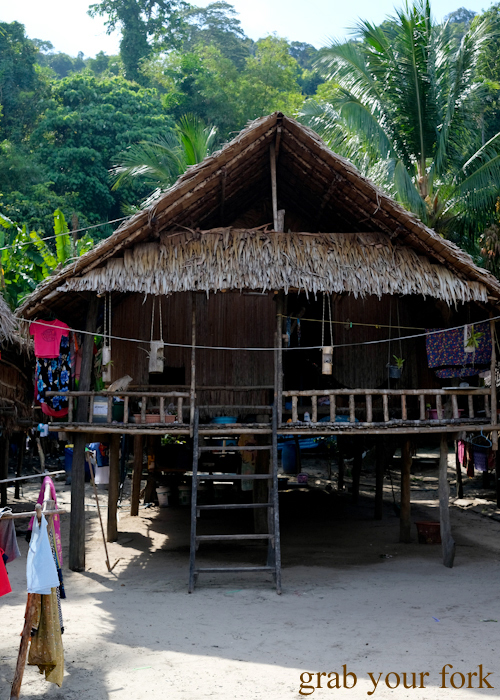 The Moken people do not have a written language, passing on knowledge verbally through folklore. They also have no word for individual ownership. When the 2004 tsunami hit, the entire Moken tribe survived, a reflection of their intimate knowledge of, and relationship with, the sea. In February 2019 a new disaster struck, when fire ripped through the entire village. Right now there is nothing left of the huts you see in these photos, although the government is working with locals to rebuild. We asked our songthaew (an open truck bus that's used as a share taxi across Thailand) driver for his local restaurant recommendation. 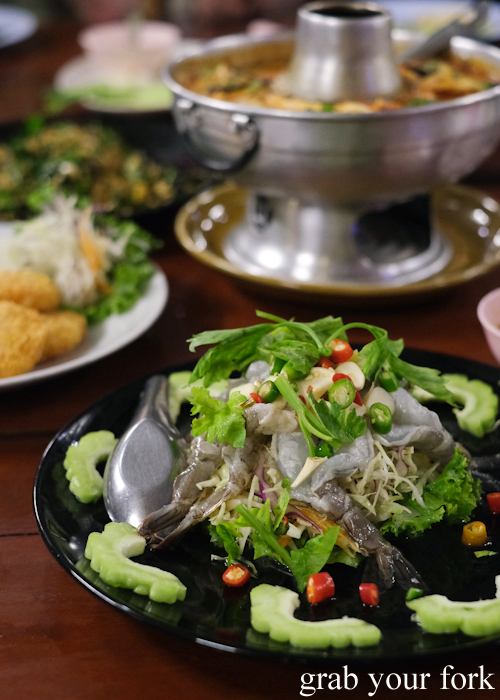 "For the best seafood, you have to go to Baan Khao Lak," he said. He wasn't wrong. The food is great. And cheap. The menu is huge. 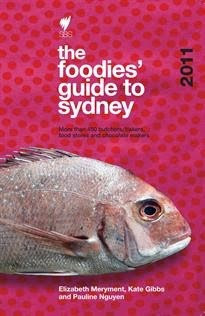 There's a strong emphasis on seafood but lots of chicken and pork options too. 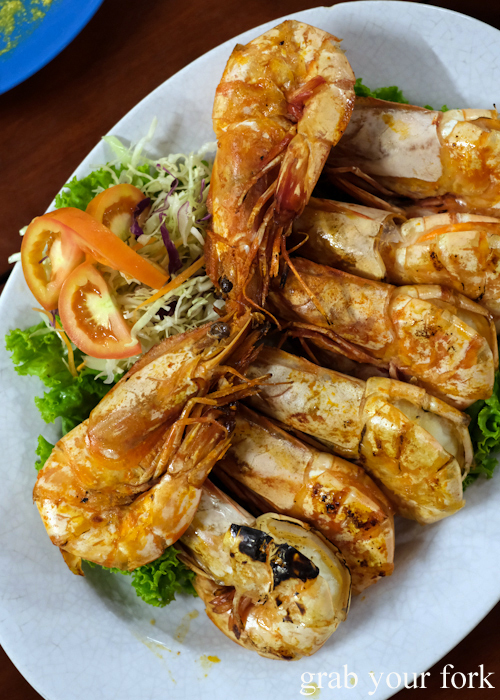 The raw prawns are a winning start, the sweet flesh doused with a fish sauce dressing. And I'm heartened now to realise that there are plenty of similarities between this dish and the one served in Sydney's Mojo Restaurant (currently available now as part of their all-you-can-eat crab and prawn buffet). 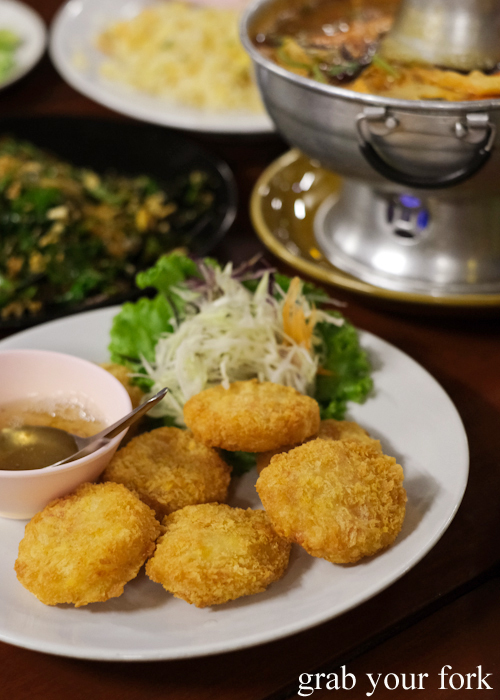 Prawn cakes, on the other hand, are not so great, rubbery deep fried pucks made even less appealing with a cloyingly sweet sauce on the side. But all is right again with the soft shell crab curry stir fry. 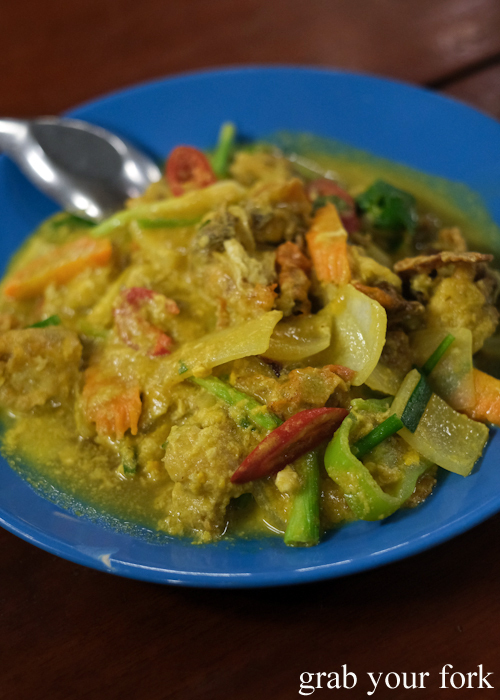 Battered soft shell crab and a crunchy tangle of vegetables are enveloped in a fragrant curry sauce. 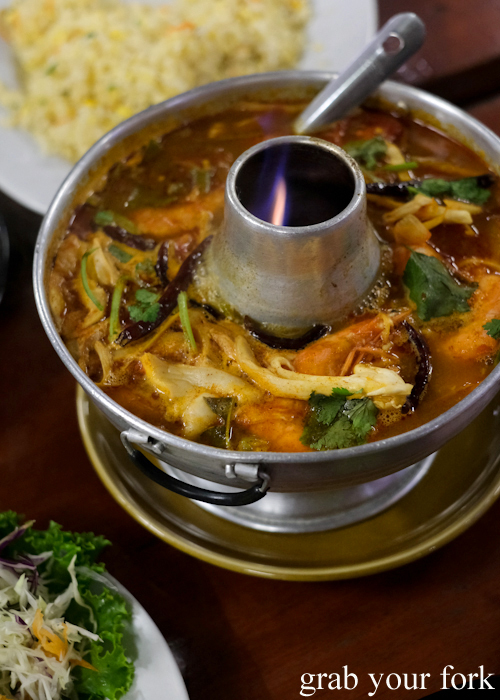 We like the tom yum prawn soup too, hitting just the right notes of hot and sour. 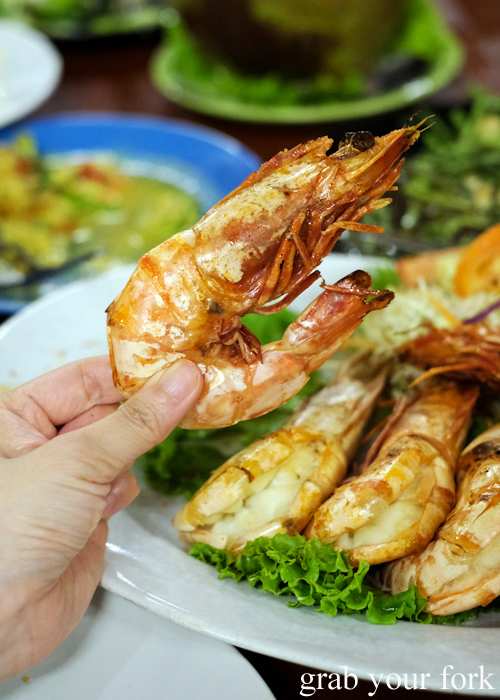 We splurge on giant tiger prawns, $10 each, but almost hand-sized. 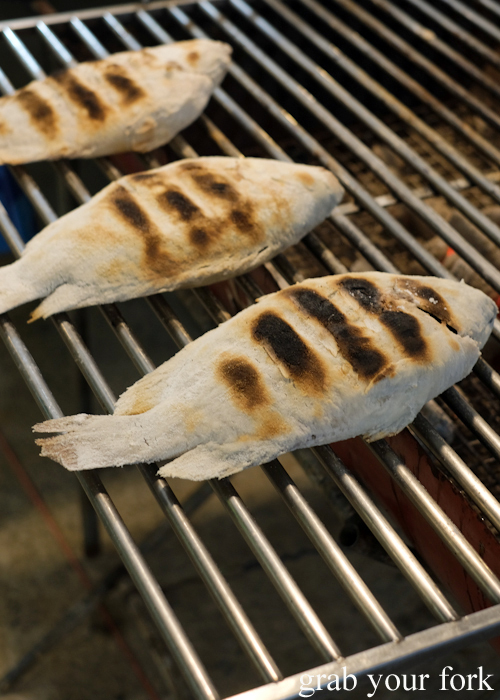 These are blisteringly hot - as our hand model will testify - and grilled to juicy and succulent perfection. The mixed seafood curry affords the most fun. 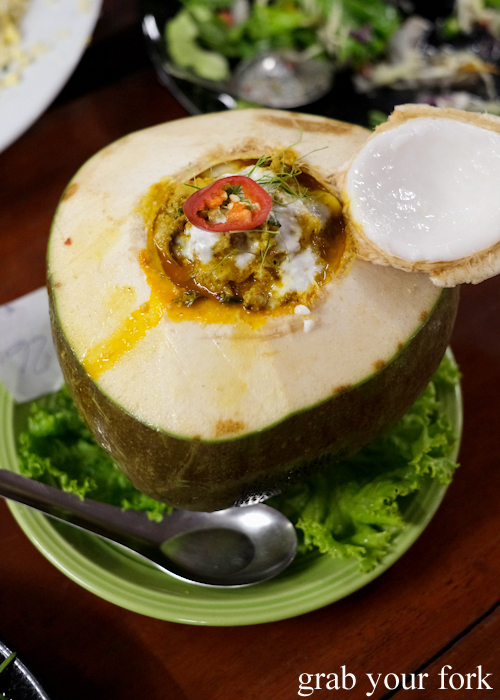 You'll be amazed at how many king prawns you can fit inside a young coconut! They just keep on emerging. Scraping the young coconut flesh from the inside was a personal treat. We order locally grown vegetables, baegu leaves, which I've now researched to realise has alternate names of gnetum gnemon, melingjo and padi oat leaves. 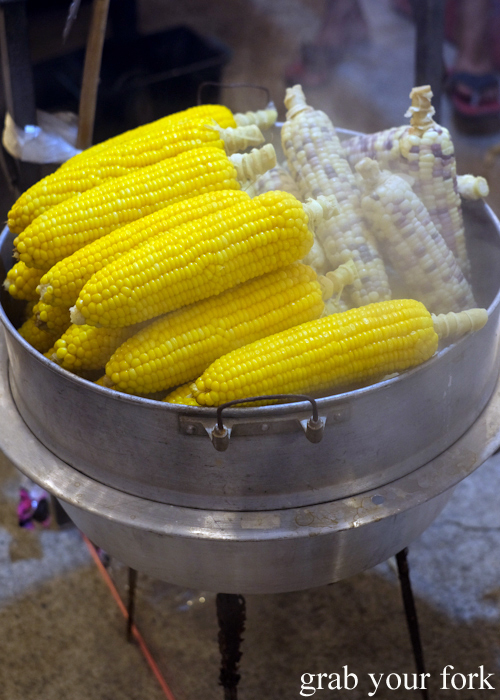 It's a vegetable more commonly grown in Malaysia, Indonesia, the Philippines and Fiji. The seeds from this plant as used to make sayur asem sour vegetable soup as well as emping deep fried crackers. 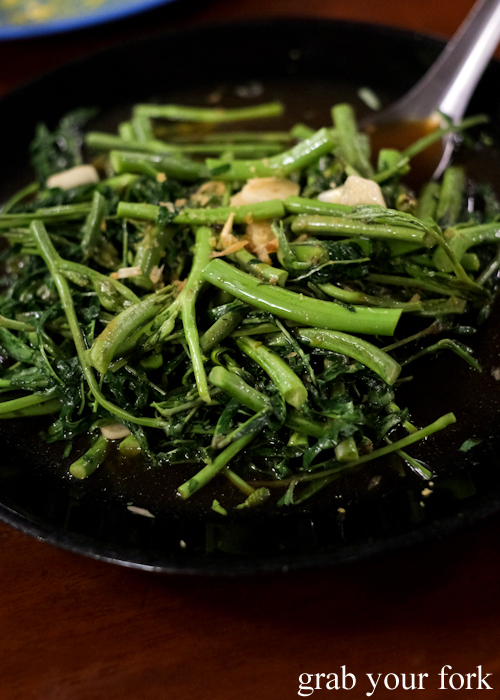 A huge serve of water spinach is bright and tender. 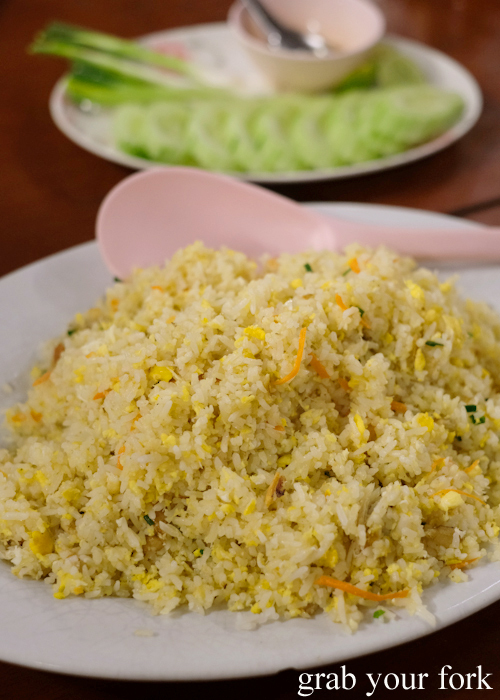 And just like a good Asian banquet, we finish with a huge plate of fried rice, this one speckled with chunks of crab. Nope. These turtles are not for eating! 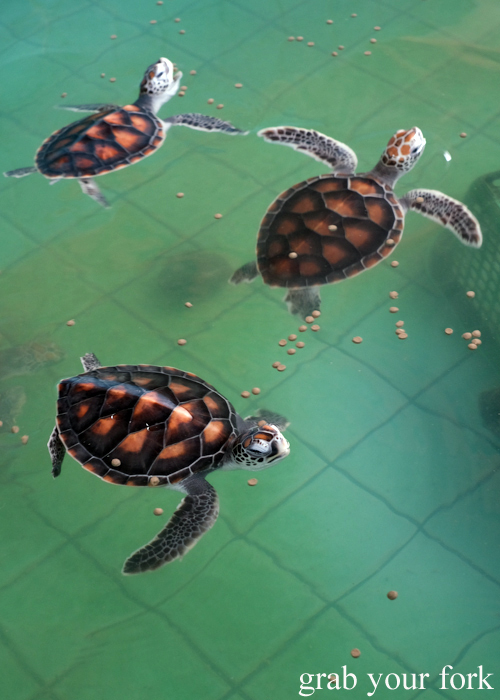 What you will find is a sanctuary for turtles run from the Royal Thai Navy base in Phang Nga. The conservation centre looks after turtle hatchlings in its nursery, releasing about 8,000 turtles - aged 6 to 8 month - each year. At this age, the turtles are more likely to survive in the wild. After paying a modest fee of 60THB (less than $3), you can wander freely throughout the grounds. It's quite an open centre that's ideal for kids, with tiled baths holding turtles grouped by age and size. 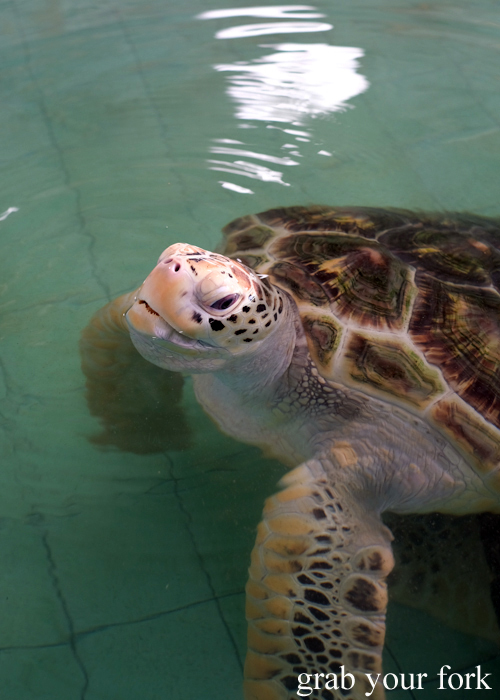 There's a "hospital ward" for sickly turtles, as well as a "nursing home" for older ones. You'll feel an overwhelming sense of peace and tranquility as you watch the turtles swim around with grace. Here you'll also find a memorial to naval base personnel and families who lost their lives in the 2004 tsunami. 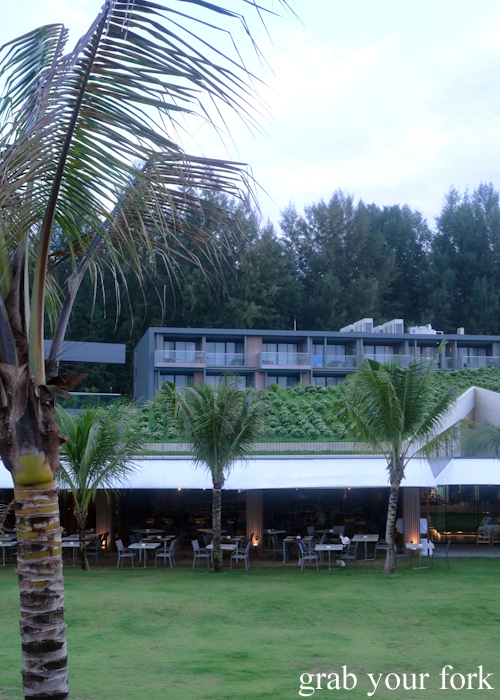 It was here, on the shores of Khao Lak, that saw the first terrifying waves of the tsunami roll in. Finish up with a treat from the local shop. 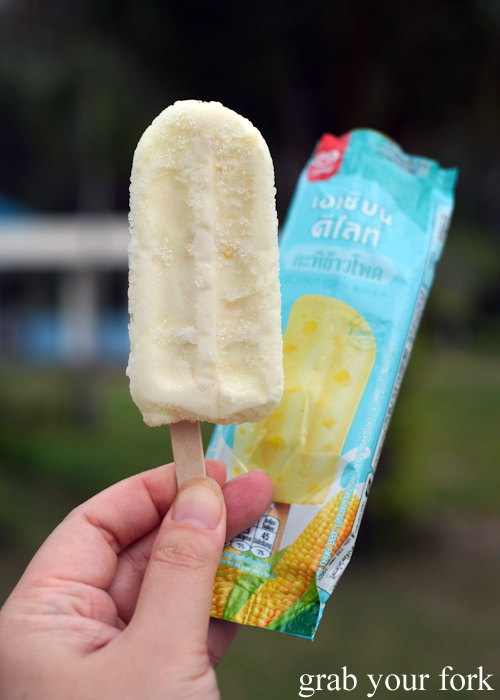 I went with one of my faves, sweet corn ice cream! 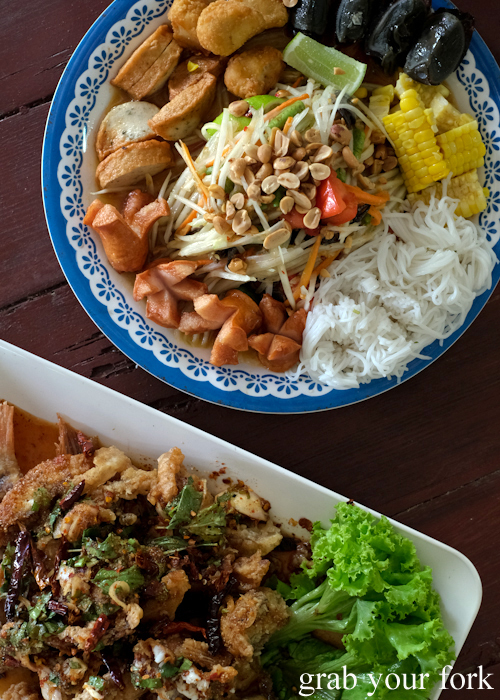 On your way to/from the turtle conservation centre, it's worth dropping by the Krua Puen Navy Restaurant for lunch or dinner. It's a tiny family-run restaurant just before the boom-gate entrance (with security guards) to the naval base. BEFORE the boom-gate. If you get it wrong, like we did, security will smile at your ineptitude and point over their shoulder to the restaurant driveway you missed completely. Here you'll find a quiet retreat. And no English menus. 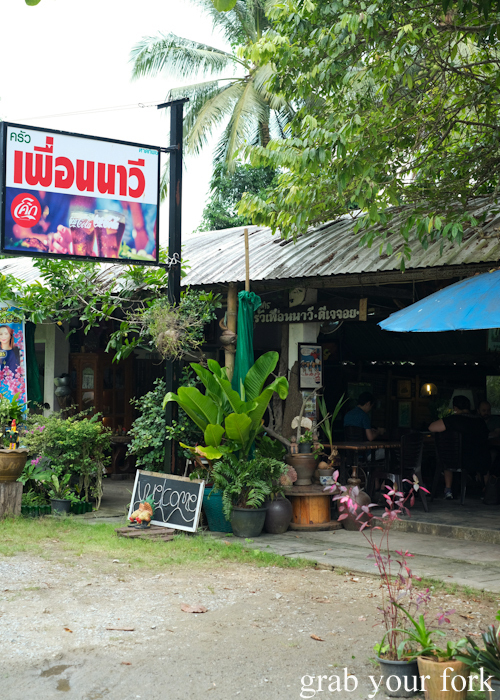 If you don't have a Thai local travelling with you, feel free to bring up and point out photos from this blog post. 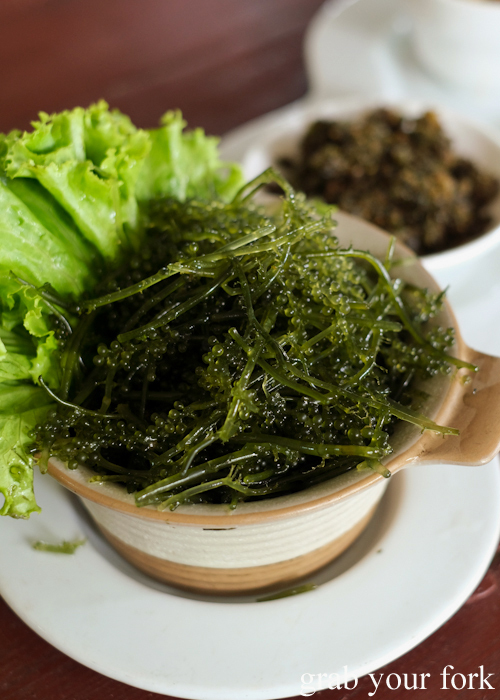 Whatever you do, get the seaweed grape salad. It's like a seaweed version of flying fish roe, popping with briny goodness like your favourite sushi filling. 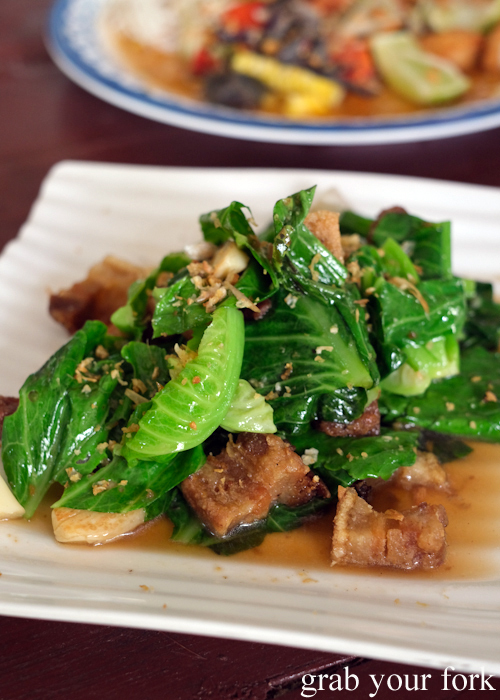 A plate of deep fried pork belly is deliriously cheap at only $3.50. Add a handful of young and tender cabbage leaves - harvested from the garden out the back - and you've got one lipsmacklingly good feed for cheap. 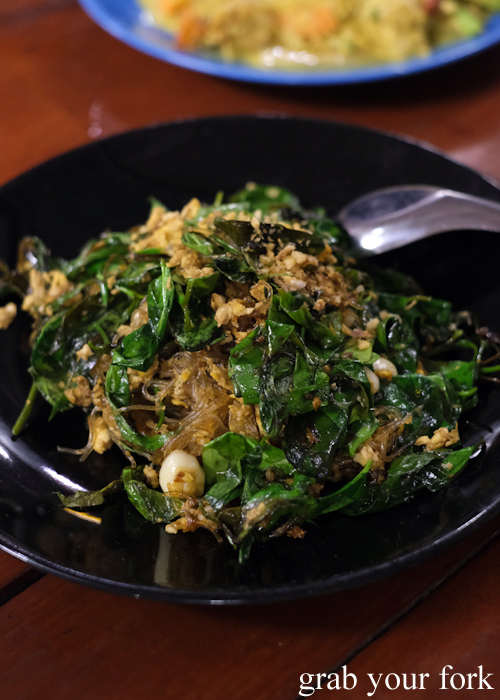 Som tum tad is an extended version of the usual som tum salad. 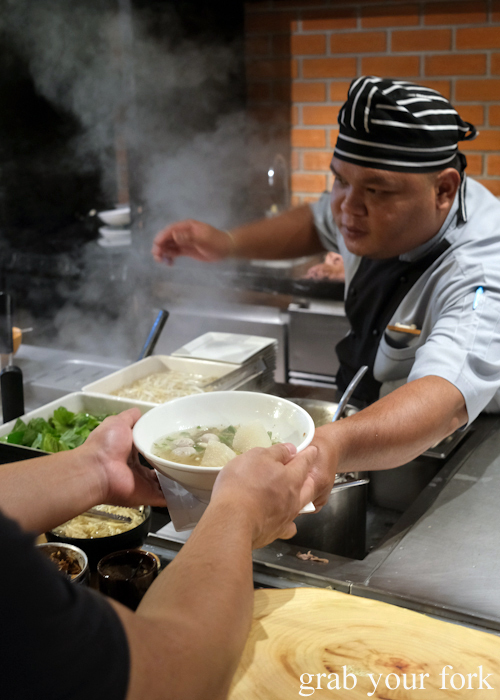 Tad means tray, so you'll get your som tum salad on a platter, surrounded with a mix of noodles, meats and vegetables. 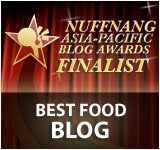 Here we scored crisp fried frankfurts, fish cakes, steamed corn, rice noodles and century egg. All this for only five bucks! 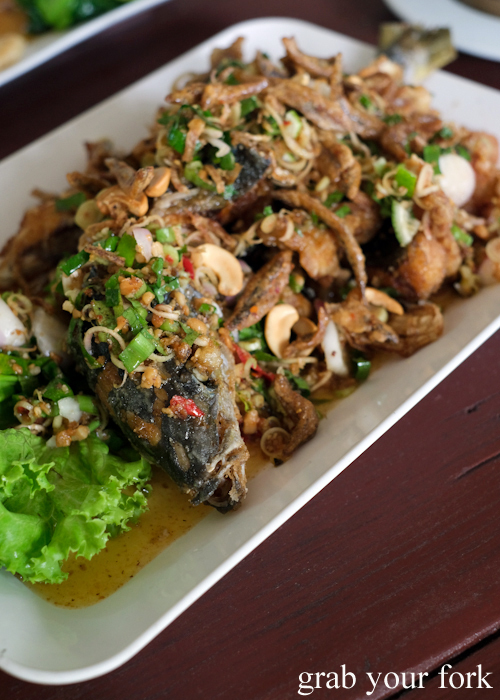 My heart lay with the fried fish draped with dried chillies, fresh mint and lashings of fish sauce. We feasted on a 1.2kg rubyfish, this one deep fried whole and covered in a spicy dressing accented with shallots, lime and roasted rice powder. And our customary finish of fried rice, this one with bonus pork crackling. Win! 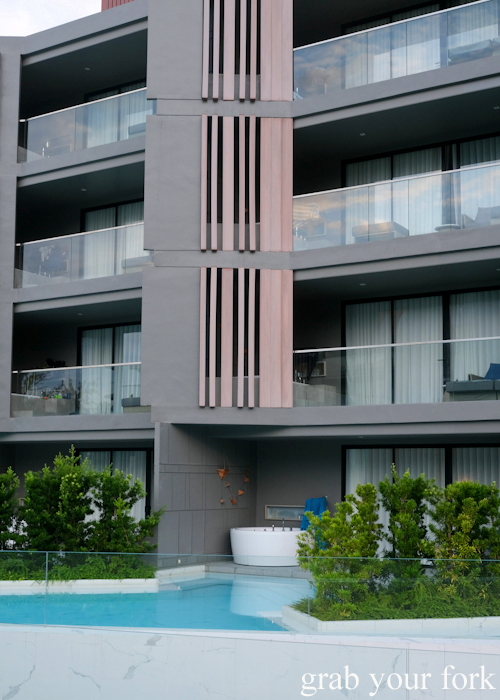 There's a vast range of accommodation options to chose from in Khao Lak, everything from backpacker hostels to high end resorts. We went a little high end with La Vela, a relatively new resort that opened mid-2017. I'll confess right now - this was my first time at a fancy resort. 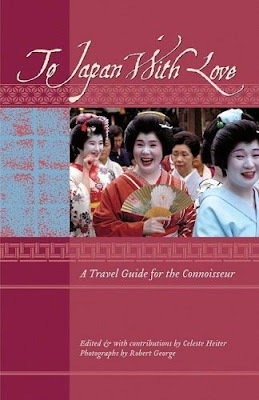 I could barely believe the swim-up pools to apartment balconies or the sunbeds sitting in ankle-deep water. 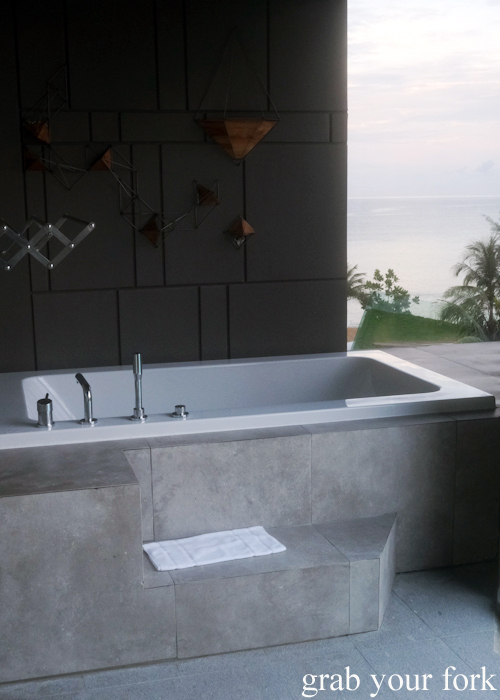 Our apartment had an outdoor bathtub with a view of the beach. 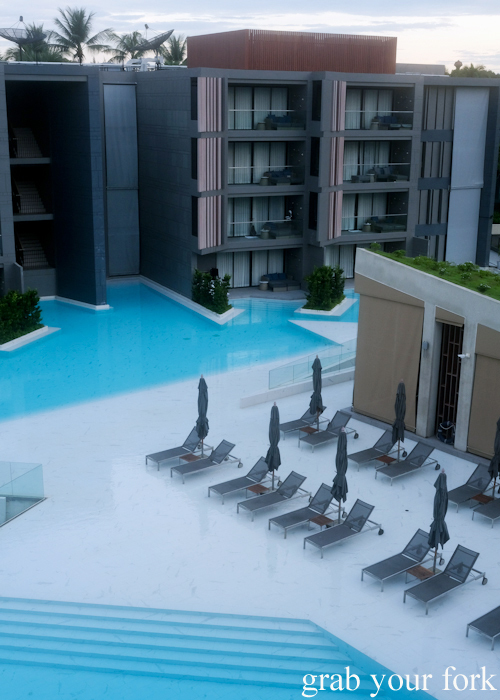 Other ground floor apartments had bath tubs within splashing distance of the pool. 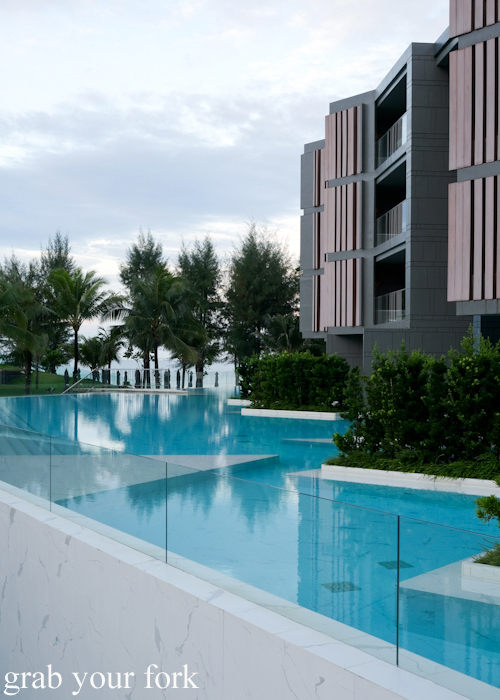 The infinity pool included a clever zigzag around apartments to maximum privacy, and there was plenty to like about the architectural attention to visual design. Of course my favourite place was the dining room. 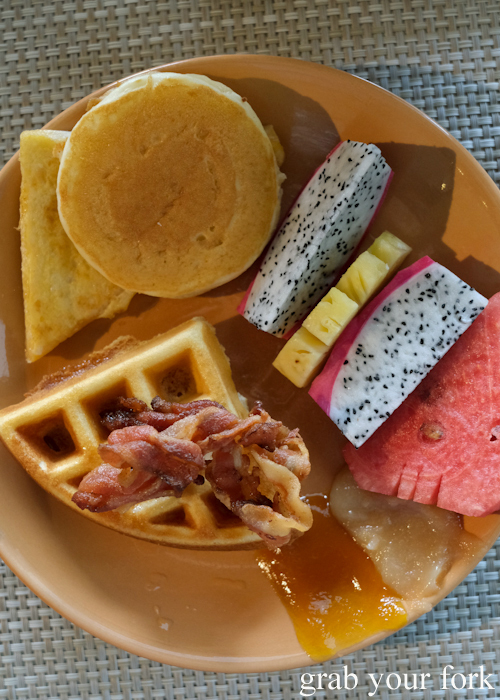 We spent two nights here so feasted twice on the expansive buffet breakfast. It wasn't until the second day that I was convinced to dine on the terrace to appreciate the view, and soak up that early morning humidity. 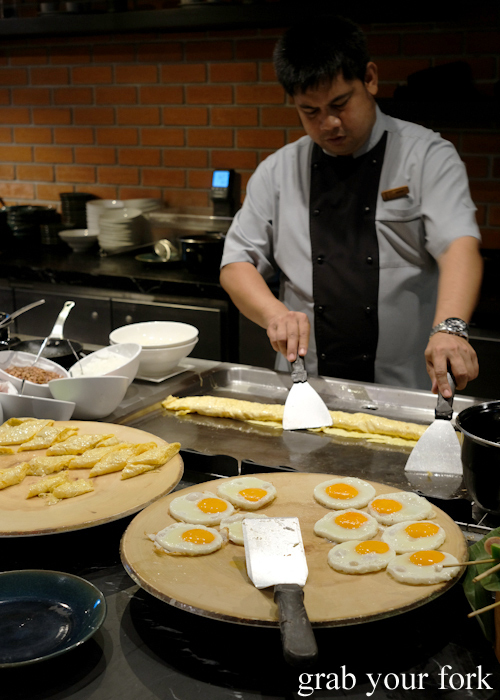 The egg station included fried eggs and omelettes. 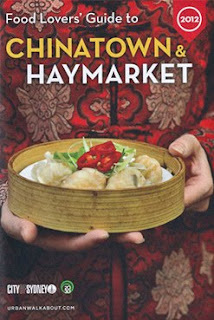 And you could design your own noodle soup, from the meatballs to the type of noodle. 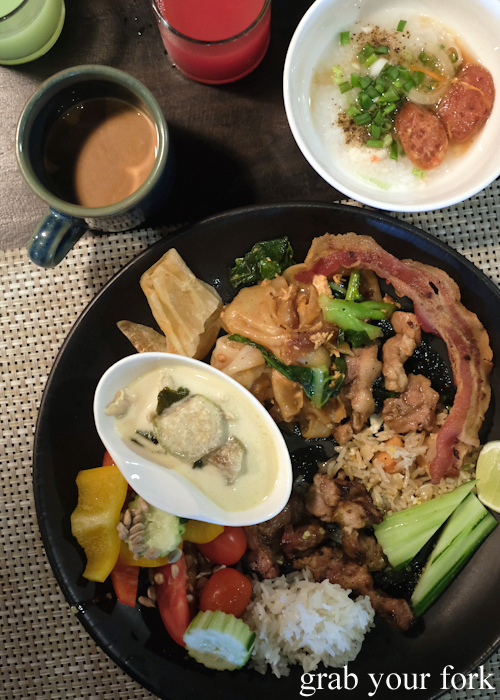 Day one was all about that congee, green curry chicken, fried rice noodles and crispy bacon. 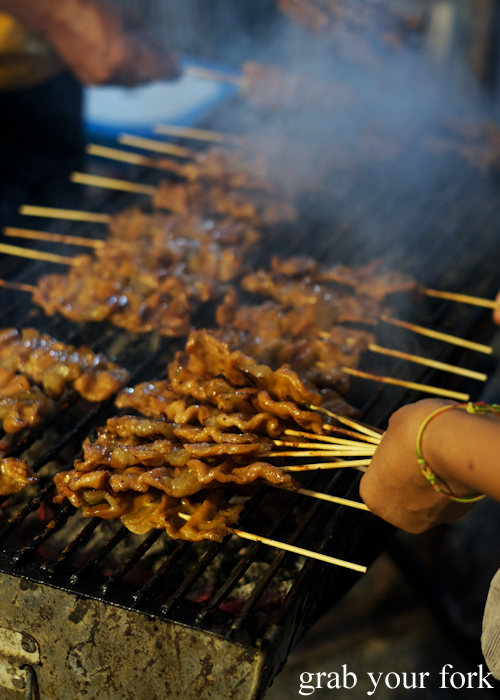 Day two involved noodle soup, more congee and delicious skewers of grilled pork and chicken. 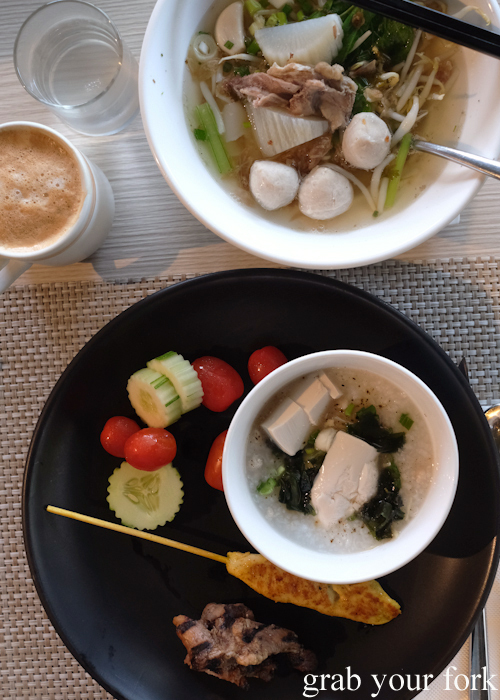 Can you tell I like congee? 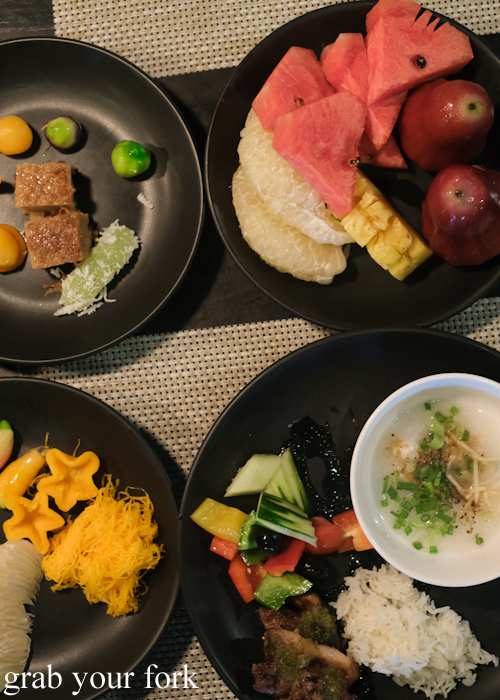 Plus tropical fruits and a gluttony of Thai desserts. Because I could. And who can resist waffles with bacon and maple syrup? And pancakes! And French toast! And all the tropical fruit! Grab Your Fork travelled independently to Khao Lak. All places in this post were visited anonymously and paid for personally. Oh no just stop it. I wanna go!